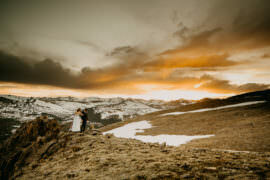 Colorado Wedding Photography majesty of romance against the breathtaking backdrop of the Rocky Mountains. 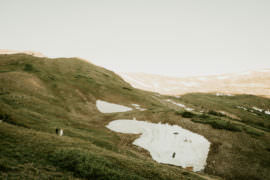 The laced up hiking boots covered in snow on a mountain trail… What is more sensual than this adventure experience? Hi! 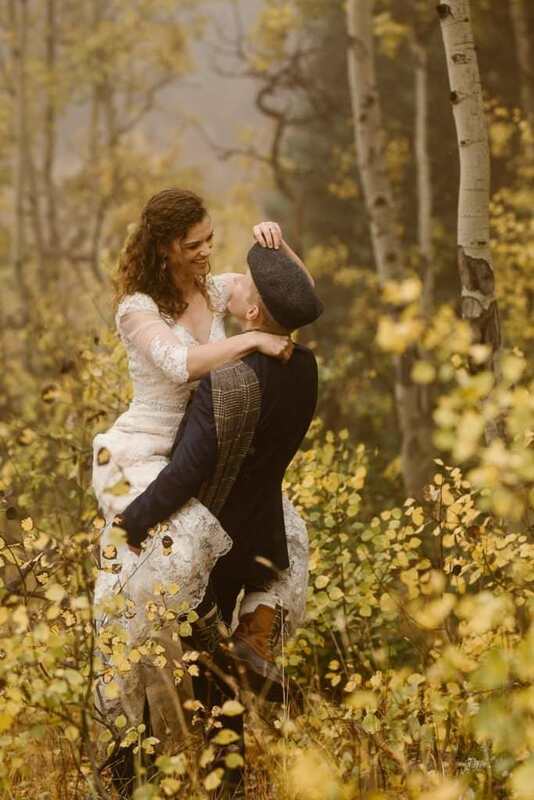 I’m Colorado-based adventure elopement photographer Justyna Butler, an adventurous soul, specializing in elopements and intimate weddings both locally in Rocky Mountains of Colorado region and destinations around the world. 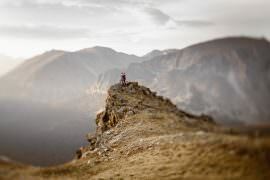 My travel includes photographing adventure hiking elopements and intimate weddings in : Crested Butte, Nederlands, Breckenridge, Estes Park, Rocky Mountain National Park, Aspen, Snowmass, Telluride, Keystone, Ouray, Evergreen and Vail in Colorado. Europe destination like Ireland, Wales, Scotland are just a few places my heart got to travel to document the most intimate weddings. Inspired by the beauty surrounding me in nature, I love mountains, light, and capturing love and intimate connections — all of which I combine flawlessly in my art. I will not only capture the biggest moments on your wedding day, but also the in-between moments that make your story unique, the ones you’ll want to remember for a lifetime. Please take a look through my portfolio and if you feel a connection to my work I would love to hear from you wherever your adventure takes you. 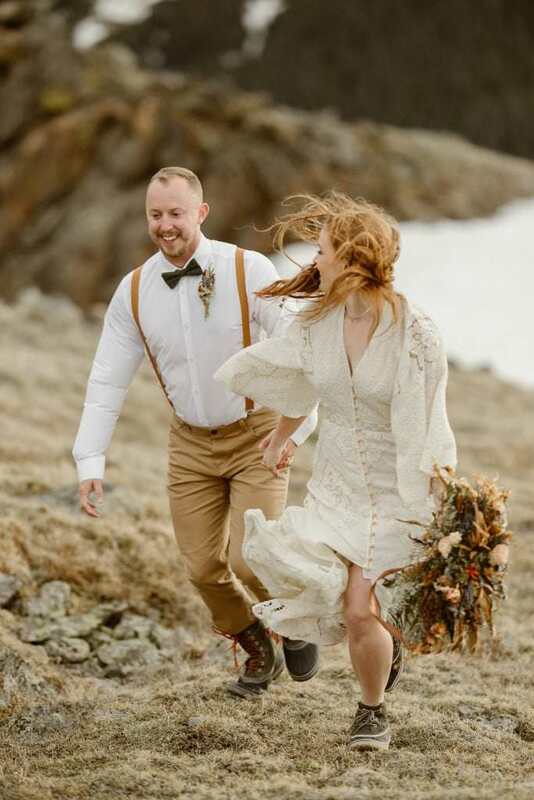 The perfect dress is packed, the hot cocoa and tin mugs are stuffed in a bag along with your favorite hiking boots and you’re ready to embark on the long-awaited elopement adventure with the love of your life to tie the knot. 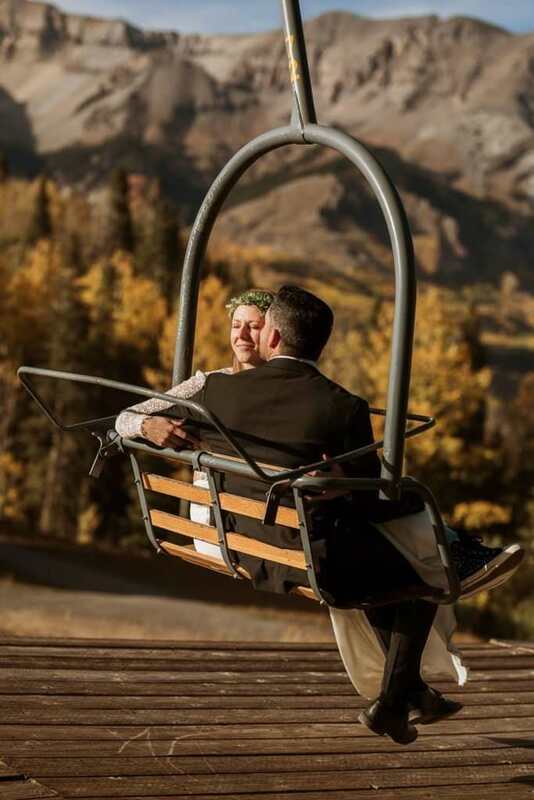 The two of you have been daydreaming about this BIG DAY — The lifelong ride together witnessing the sunrise over the Alpine Lakes, glistening over the mountain horizon....stories, the days that will be spent hiking to alpine lakes, and the nights of cuddling by the fireplace as the stars come out. Do not wait any longer! YOUR ADVENTURE AWAITS! My photography art has been always inspired by movement, little details of people in love...the messy hair, the real...therefore capturing cinematic moments is a dream come true for an artist who is always seeking that cinematic feel. 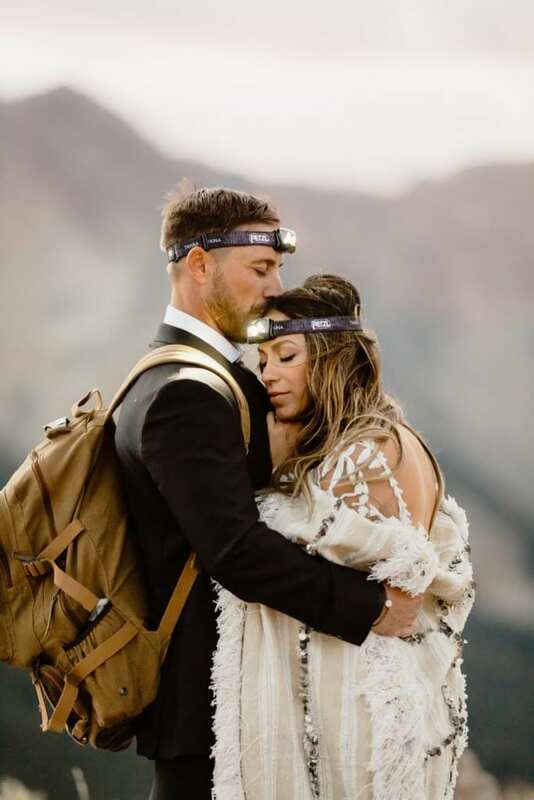 I am stoked to expand our passion for story-telling with the addition of video stories in 2020 only for adventure elopements. After months of anticipation the experience actually surpassed our expectations! The photo shoot was exciting, thrilling, and a true adventure. The hours slipped away so quickly. "Time flies when you're having fun!" Justyna was enthusiastic, professional, and really worked hard to get the perfect shots. She was emotionally engaged in her work and vested in ensuring our photos were the best they could be. Her bubbly personality and can-do attitude are particularly suited for the occasion. Overall, we were thrilled with our experience. Working with Justyna was a delight! We would not hesitate to recommend her to anyone looking for a similar experience. Very few people in this world surprise me. I can honestly say that Justyna has simply amazed me. I cannot say enough about her professionalism, creativity, and most of all - her character. Justyna photographed my engagement pictures and my wedding. Her work is OUTSTANDING and it speaks for itself. More remarkable than her work is her personality and her integrity. The product aside, I can attest that working with her was remarkable. Justyna is energetic, fun, and passionate. 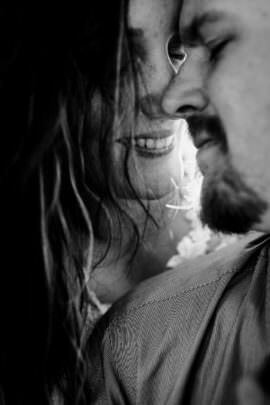 My wife and I felt so comfortable and our experience was delightful - and her work was exceptional. I worked with many vendors to put together my wedding, all of whom did a great job. I had very high expectations and demanded much from the vendors who participated in my wedding. However, by far, my most memorable and impressionable experience was working with Justyna. 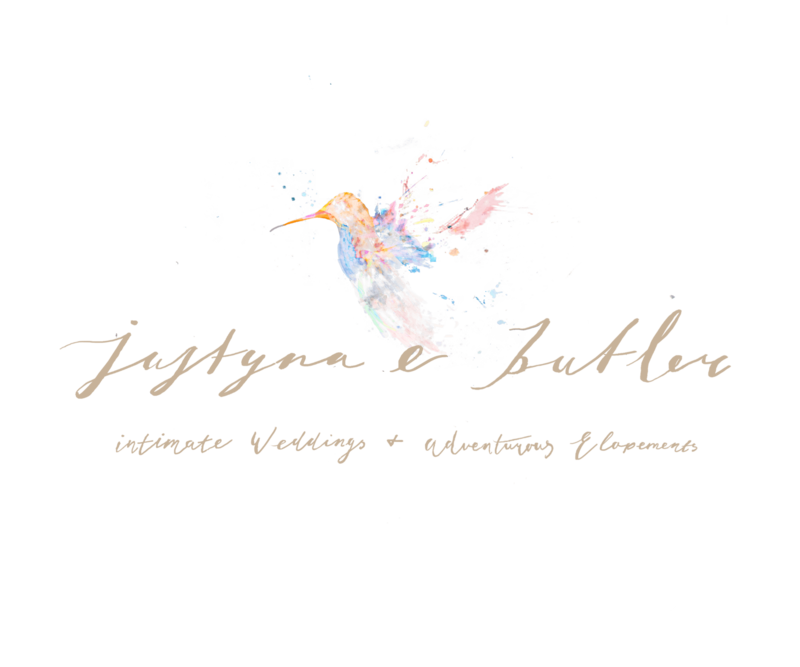 I felt that Justyna was just as passionate about my experience and my wedding as I was. Her penchant for capturing pure and organic moments is unrivaled. The memories she helped to create are incredible. I cannot say enough about her or her work. As I mentioned before, Justyna’s work is outstanding, but the person is even more amazing. 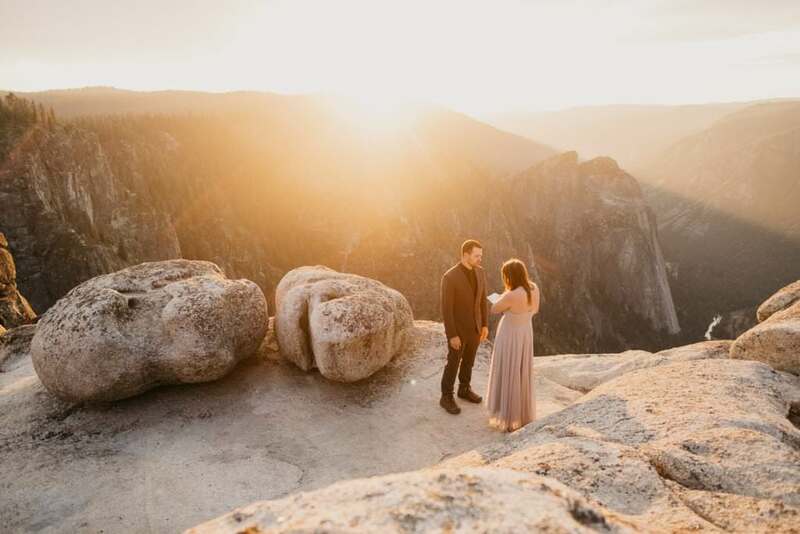 Justyna is a gifted photographer with an incredible ability to connect with people. 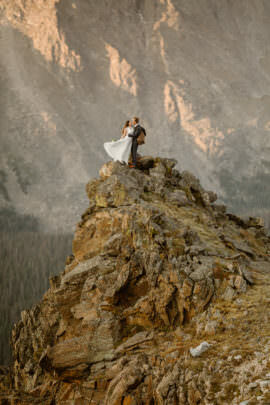 Getting married in the beautiful, majestic Colorado mountains was more of a dream than a reality for Brinnan and I. It was actually a joke we made in passing as we visited a few wedding venues in our hometown. We researched countless places to get married but nothing seemed to win us over - nothing fit “us” or what we wanted. “We might as well just go somewhere to get married. 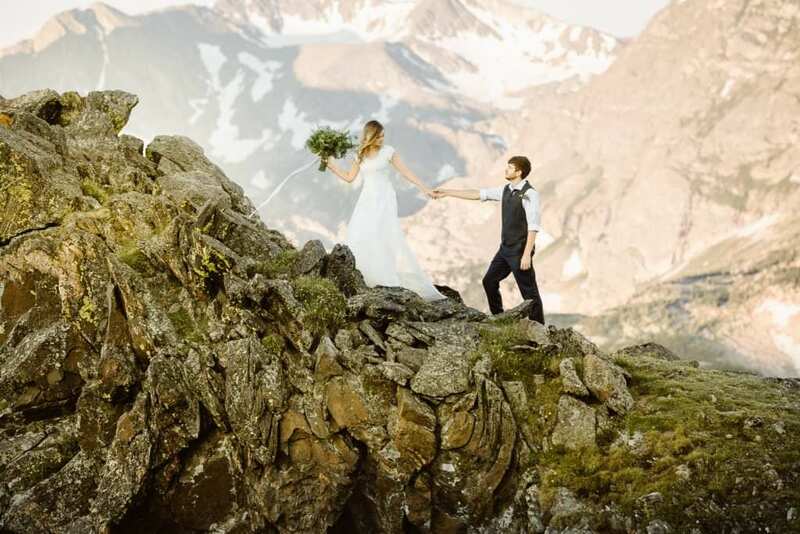 Can you imagine getting married in Colorado?” And that’s just what it was to me - something to imagine...until I stumbled across Justyna’s work. I remember seeing her pictures and immediately calling Brinnan. “You HAVE to see these pictures! 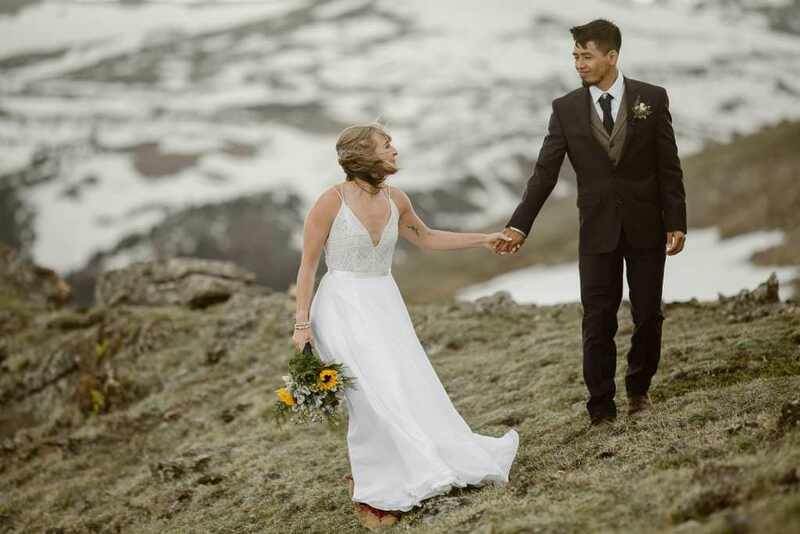 You will NOT believe how amazing this photographer is!” The way Justyna can capture not only two people in love but also the beauty of the outdoors is insane. 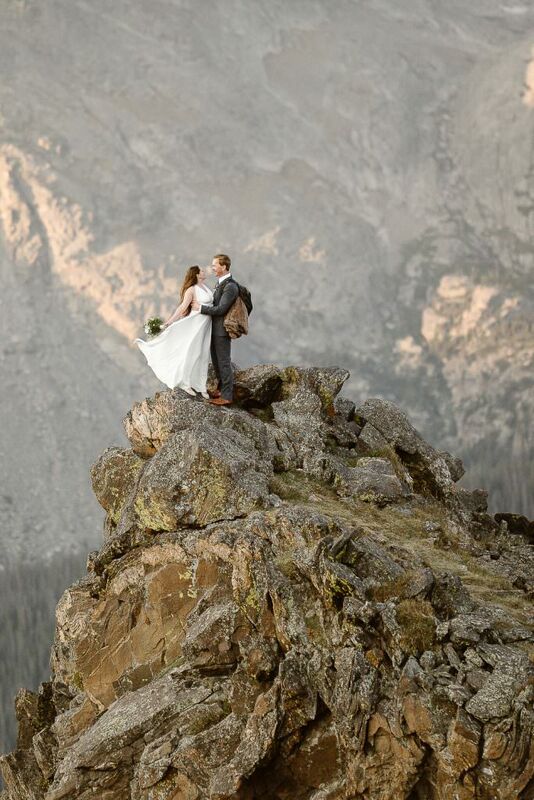 Justyna’s photography is what finally won us over - she is why we chose Colorado. From the first phone call Justyna had me. Here she was, a stranger 10+ hours away, that was so invested in my love story and how she could capture it. She truly cares so much about her couples and what she can do to make everything easy and comfortable. She was so helpful with finding a location for our ceremony - she even became my cheerleader when I realized I would need to wake up at 3am to get ready! She ensured me that this experience would be out of this world and the lighting (she loves the lighting) would be epic. Justyna was such a fun photographer to work with!! When we first met her she was so full of positive energy which made my fiancé and I feel very comfortable! When we were taking pictures we absolutely loved her style! My fiancé and I got to be ourselves and she captured every moment of it. 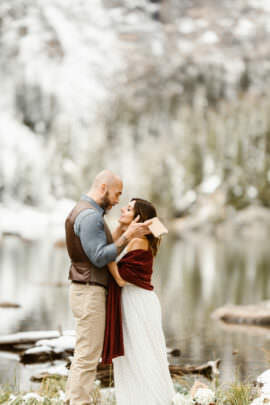 Her intimate style made for the most breathtaking pictures my fiancé and I have ever had together! We couldn't believe that was us in the pictures. Working with Justyna was such a pleasure! She's great at what she does and she is very responsive with any questions you may have leading up to your big day! 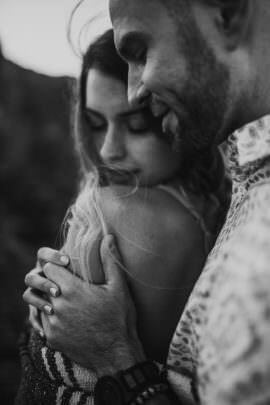 Justyna is all about capturing the genuine, raw feelings that you and your significant other share. She's not about generic poses (especially during engagement shoots) and fake smiles. When I look back at my photos, I can't help but think: (1) We look freaking hot!!! (2) We look like an actual couple that intimately loves one another. With the beautiful surroundings you're immersed in, the way she captures the moment, and how she edits the images... I look back at my photos and think my love story is an epic, adventurous, wonderfully made movie. Thank you Justyna! Oh my goodness! We just got our pictures from our engagement shoot with Justyna. Not only are the pictures amazing (which they are), but Justyna has the most inviting energy and she makes you feel so comfortable! Our shoot was scheduled for evening, but we ran in to some rain...Justyna drove over an hour to go back home and came back in the morning so we could get good lighting and great pictures before we left town. Above and beyond!!! I can't wait for our wedding!! !